Leading manufacturer and exporters of fashion jewellery (costume & immitation) jewellery & fashion bags, jute bags, ladies fashion jewelry, indian handicrafts items fashion designer bags, women jute bags. Manufacturing, exporting and supplying of gem stone pendant, artificial jewelery, costume jewelry, fashion jewelry such as fashion necklace, designer necklace set, american diamond bangles, designer earrings, bangles, silver pendants and victorian earrings. Manufacturer and exporter of costume jewelry, designer costume jewelry, indian jewelery, ethnic jewelry, oriental jewelry, mens jewellery, belly dance jewellery and fashion bags like necklace, bracelets, earrings, beaded bags, mirror bags, etc. Manufacturers, wholesale suppliers and exporters of fashion jewelry & accessories such as costume jewelry, fashion jewelry, costume earrings, pendants, fashion bangles, bracelets, mobile strings, hair accessories, key chains, necklaces, glass bead necklaces, beaded necklaces, designer necklaces. 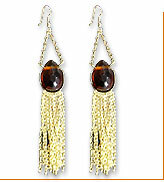 We manufacturer and exporter of immitation jewellery likes earings, tops, nosepin and bali products etc. Opine india is manufacturer, exporter and supplier of bone & horn jewelry, beaded necklaces, beaded bracelets, beaded earrings, brass cuffs, wooden bangles and fashion belts, etc. We are leading manufacturer importer & exporter of scarf, print scarf, cotton scarf, viscose scarf, knitted scarf, ladies belts, ladies purse, earring, handicraft, fashionable pens, necklace, jacquard shawls products etc. INOX Jewelry has hypoallergenic stainless steel and alternative metal jewelry/accessories. We are leading supplier of Pendant Set, Bangles, Necklace Set, Earrings etc. Buy online Diamond Jewellery in India from Khanna Jewels at discounted price. Latest & exclusive designed certified Diamond Jewellery. Free shipping. We are one of the established manufacturers, exporters and traders of an exclusive range of superior quality jewellery such as casting bangles, stone bangles, a.d. bangles, brass bangles, copper polki bangles, cufflings and bangles, casting pendent set, casting necklace set, forming set, metals bangles, micro earrings and stones set etc. We are leading supplier of Ladies Rings, Gents Rings, Pendants, Bangles and Earrings etc. 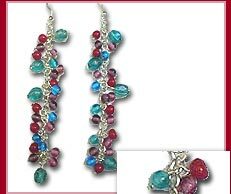 Retailers and exporters of fashion earrings, beaded imitation jewelry, beaded necklace, beaded bracelet, costume jewelry, fashion bracelets, necklace, imitation jewelry, metal jewelry and artificial jewelry.